Iron Age coins were produced across much of western and central Europe, from the end of the fourth century BC until the late first century BC on the continent, and between the late second century BC and the mid first century AD in Britain. 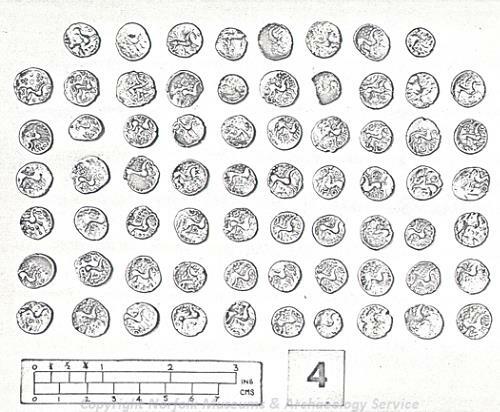 Different types of coins were produced by different tribes. In East Anglia the Iceni tribe produced gold and silver coins. Gold, silver and copper alloy coins made on the continent and in other parts of Britain have also been found in Norfolk. It in unclear what these coins were used for. Sometimes they are found in hoards buried in the ground. These hoards may have been buried for safekeeping during times of stress or have been deposited in the ground as gifts for the gods.